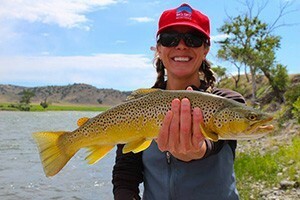 With a variety of cascading mountain streams, wide open rivers in grassy valleys, and pristine lakes, Big Sky fishing and fly fishing opportunities are are plentiful. 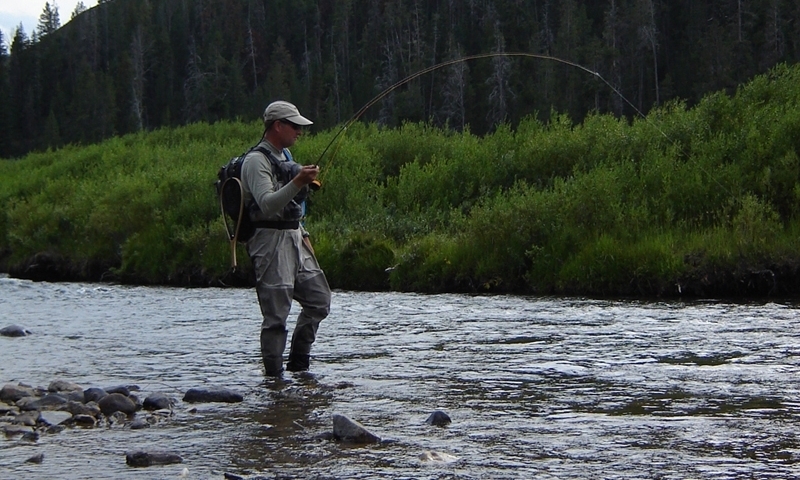 Find local fly fishing shops and knowledgeable fishing guides in Big Sky, Montana to make the most of your fishing adventure. 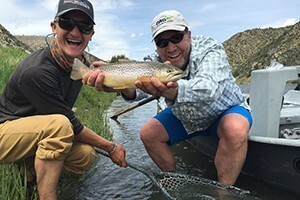 Big Sky's #1 outdoor store offers professionally-guided fly fishing trips and rental gear (waders & boots, rods & reels) for experienced & novices. Outfitter #6398. 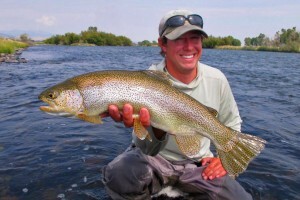 Tap our experience when fishing Big Sky, Bozeman & Yellowstone area waters. The most complete fly shop, largest pool of local guides, and terrific online river reports. Fish this size are not normally found around Big Sky or the Gallatin River, but they are over the hill in Ennis. 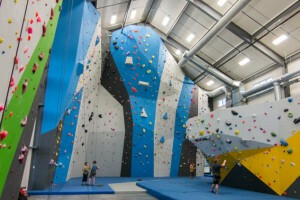 It's worth making the trip - we'll prove it. We are Big Sky's full-line Orvis shop offering guided trips, rental gear, free & courteous advice, and a wealth of local knowledge. Check with us before hitting the waters. One of Southwest Montana's largest stores featuring a complete selection of fly fishing gear, professional guides, and friendly service too! We too love to fish, and carry vehicles for all sizes of angling groups. From pairs who need a car, larger SUVs for more gear, and larger vans for big angling groups. 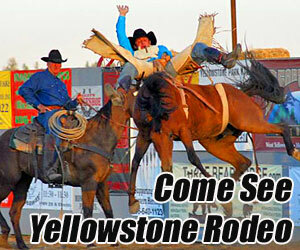 Big Sky country is known for its picturesque surroundings, beautiful rivers, and spectacular fishing. From the southern reaches of Montana into the northwest corner of Yellowstone National Park, the vibrant waterways in this region support populations of Rainbow, Cutthroat, Brook and Brown Trout as well as the native Arctic Grayling and Montana White Fish. When it comes to Big Sky fishing, the angling possibilities are infinite. Rivers like the Madison offer legendary float fishing opportunities, while others like the Gallatin are prime wade fishing rivers. 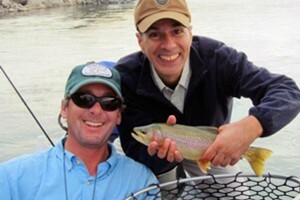 Float fishing is not permitted within Yellowstone, providing the wade fisherman with first dibs on the best runs and riffles. Additionally, many of the areas lakes provide excellent float tube, canoe and motor boat fishing. Big Sky fishing is supported by the fact that many of the areas roadways parallel the regions’ rivers and lakes. The Gallatin and Madison Rivers wind alongside highways, providing excellent access. The infamous Hebgen Lake and lower Quake Lake are also flanked by highway. Dozens of small tributary streams and high mountain lakes such as Gallatin Lake, where the headwaters of the Gallatin begin, offer fishing off the beaten path for the angler looking for solitude. The ideal excursion begins at local fly shops and outfitters. Knowledgeable staff and guide services can point you in the right direction, supply you with current flies, and take you on the adventure you will always remember.